Today, security is an expression that is very common in all areas of our lives. Security measures, security risks, security cameras, etc. ensuring the security of loved ones, staff, the city’s population, animals and possessions is a priority for most of us. It is not easy task and, unfortunately, is not something that can be resolved forever. We will always have to resolve it again and again, because new security risks will always arise. The most frequent source of fear is the risk of entry by undesirable people (or animals) into buildings and onto land. An analogical problem is the search for missing persons in particular areas. Searching from missing persons in an open area during the day is not usually problematic although conditions are not always ideal — fog may appear, or the area may be intentionally smoked out. The cycle of the time and day play against us and intruders usually operate under the cover of darkness. The infra-red radiation can also penetrate through smoke. 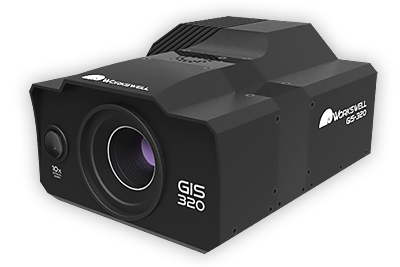 The thermal cameras enable to detect people through smoke or fog. By correctly setting the reading parameters and using a suitable device, an object with different temperature can be detected within several kilometres. It should be noted that a potentially dangerous “object” may not just be a living creature and can also be a car or other form of transport or perhaps the centre of fire. It is a high-security risk that poses a risk every day to humans and property. By using infra-red radiation and thermal cameras, safely guarding objects, people and property becomes easier and more reliable. An observer can view the screen in a safe place and in the case of any threat can, due to the various alarm settings, see with one look if there is a risk. Warm objects are usually highlighted in thermograms by contrasting colours – the surrounding may be a shade of grey and everything with a higher temperature than say 35°C is displayed in red. It is then quite obvious of where and what are the risks and quick action can be taken. Car engines are kept ticking over meaning they can be quickly started in a short time. How can you monitor an area if this does not concern the protection of an exactly specified area (parking place or entrance to a building), i.e. in cases where it is not possible to use a securely installed (stationary) thermal camera to monitor the designated area? The solution is the application of mobile systems. 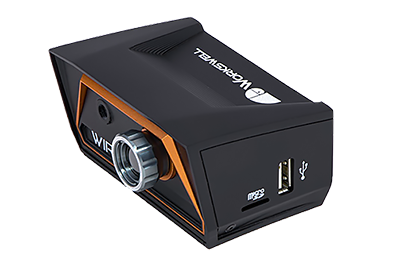 For monitoring small areas or searching for people in areas where anyone can walk within a restricted time, there are many types of handy thermal cameras available on the market. Although how do you proceed when the exact size of the monitored area is unknown or difficult to access? 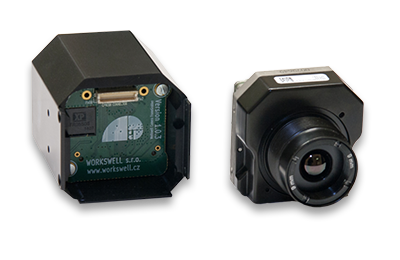 For such cases, Workswell offers an elegant and precise solution – the Workswell WIRIS infra-red thermal imaging system for drones. 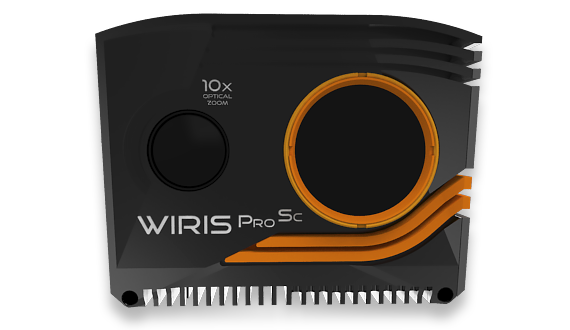 It is a light, compact set with a camera in the visible spectrum and a thermal camera which allows the user to quickly check any space within a large area. The system can be used to detect people crossing land borders or to search for people missing in a large area. 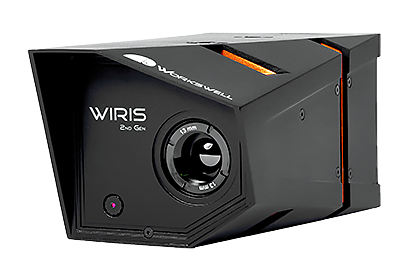 The Workswell WIRIS system can help to find someone in a burning building who cannot be seen due to smoke or someone who is drowning but can’t be seen because it’s too dark. 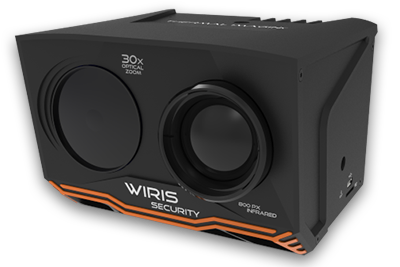 During a flight, the Workswell WIRIS system can monitor lives image from both cameras and quickly react to any security threat. 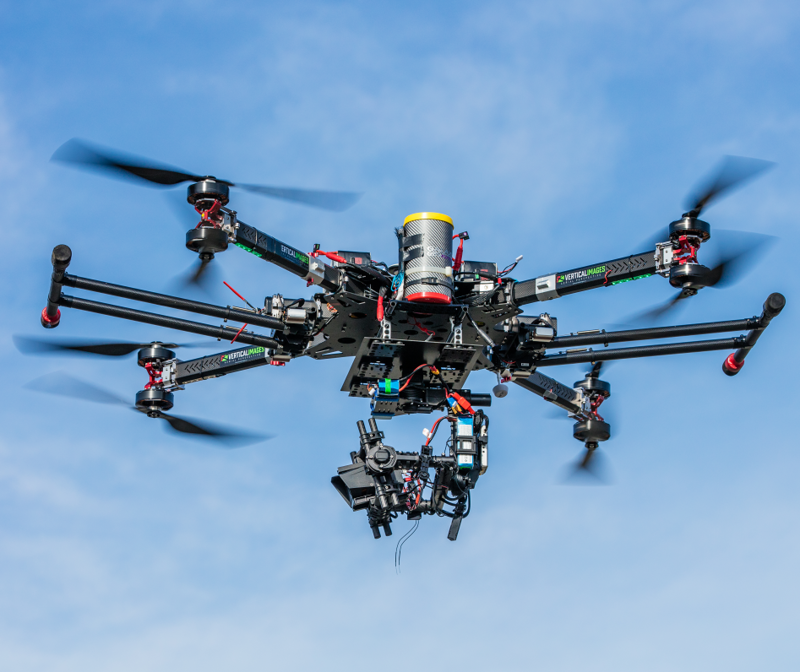 The whole flight can be recorded and analysed later to identify any risk phenomena. 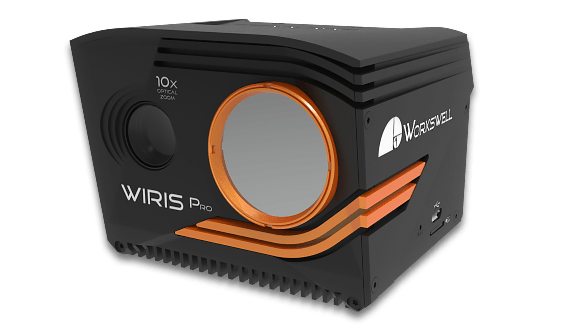 An advantageous feature offered by Workswell WIRIS system is the option to manually set the temperature scale within a very small temperature range. 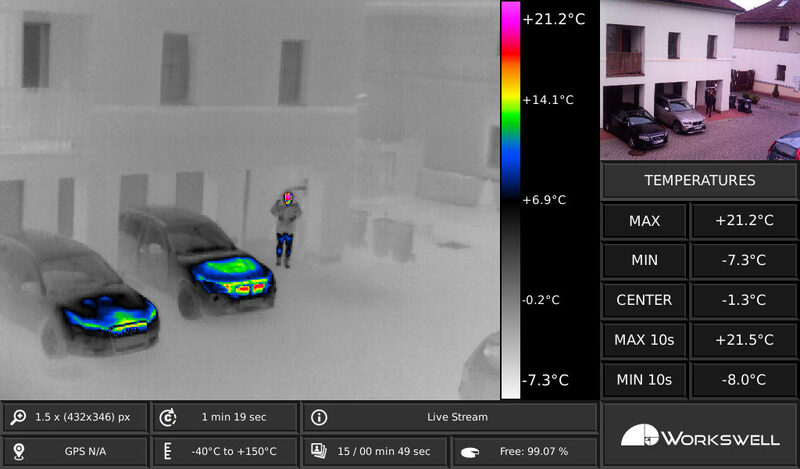 For example, within the range 10 °C to 35 °C when searching for missing persons. Moreover, the range can also be changed during the flight. The sensitivity can be set in a way that other systems do not the ability to do have resulting in a significant increase of the probability that the intruder or missing person will be found. This feature makes Workswell WIRIS the best tool for this application. Another great help is setting of the temperature alarms as these aid with the identification of objects by highlighting in clear colours. Moreover, these alarms are fully adjustable during the flight from your RC controller and the alarm settings can be adjusted to the actual conditions without having to land. Handy or “flying” thermal camera inspections can be recommended for any safety inspection, localising the centre of fires, checking objects and areas and for searching for missing persons. Checking by drone is fast and undemanding and reduces the time required for intervention while increasing the probability of rescuing people and saving property.